While a number of you will be familiar with/have a card already, others won’t. So this is for you – particularly if you’re local or always popping in! Over the many years that the business has been operating, we have agreed a number of different loyalty discounts and deals with different customers, sometimes regardless of the frequency of visits, or the amount of money spent with us. Now therefore seemed the right time for an overhaul of the system! 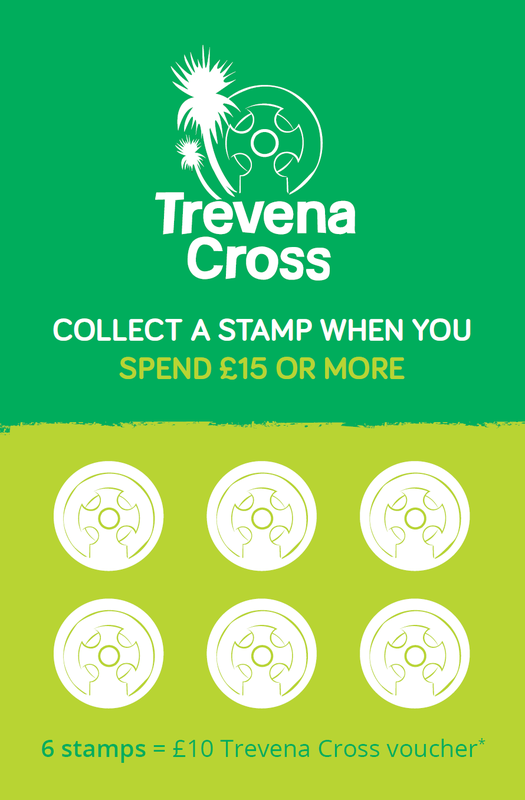 To bring uniformity to our position on discounts, and to keep it fair for our most loyal customers, we’ve implemented our own Trevena Cross Loyalty Card – one applicable to all, that supersedes all previous individually agreed discounts or deals (excluding separate trade customer arrangements). The scheme is simple and traditional, in keeping with the traditional way that the garden centre is run. In addition to the newly introduced card, it’s of course always worth looking out for our many special offers, multi-buys, sales and deals across the centre that can bag you many wonderful bargains on top of your loyalty card incentive too, any time of year – these won’t stop! We look forward to seeing you soon – and don’t forget to ask for/pick up your first Trevena Cross Loyalty Card at the counter if you haven’t already got one!